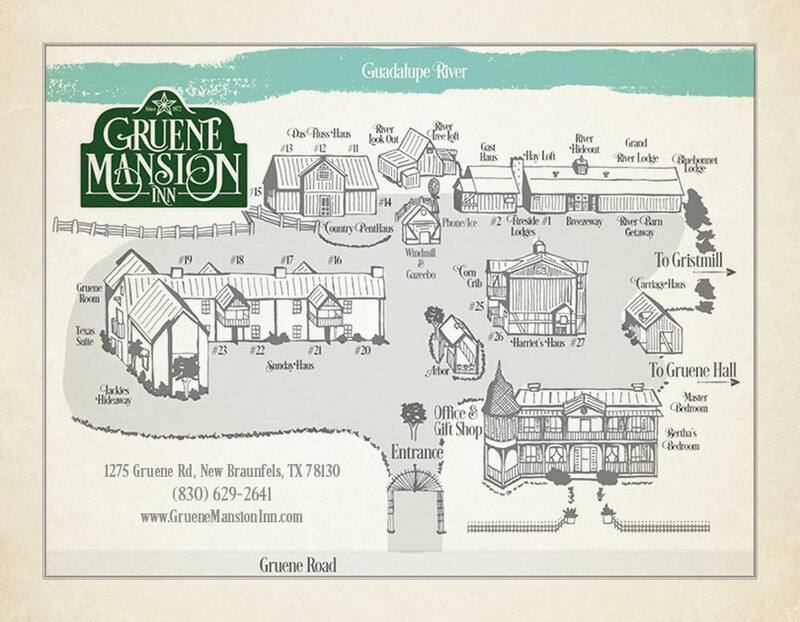 Located in the middle of the Historic Gruene District, stay at the Gruene Mansion Inn to catch live entertainment at Gruene Hall, float the Guadalupe River, enjoy shopping downtown Gruene, explore New Braunfels’ finest dining and the best nightlife around. Or just soak up the soul of Texas while sitting on our private patios over looking the banks of the Guadalupe River. The Gruene Mansion Inn has captured the drama and historical flair of Henry D. Gruene’s Victorian home and complimentary buildings in this premier Texas Bed and Breakfast. Not only is the property listed on the National Register of Historic Places, but it is also designated a Texas Historic Landmark. See what's around us on the Historic Gruene District Map.